Time flies! But we have seasonal cards to share on Day 5 and last day of our Blog Hop and Giveaway with Quietfire Design! So stay tuned for more inspiration, tips, and ideas from both companies. Don’t forget to read through the end of the post to enter to win our giveaway! I created a seasonal card using the Autumn is a Second Spring Stamp! Starting with a piece of white cardstock and embossing ink & powder. I wanted to have a golden sparkling image from the stamp in the middle of my card. Also, I grabbed some leaf papers from my stash to fussy cut all of the leaves and the little acorns. It took awhile but I think it was worth it! I used my favorite Crafty Foam Tape for some dimension under the brown patterned paper. The leaves were affixed with the E-Z Runner® Permanent Strips Refillable Dispenser. For some extra height for the acorns, I used 3D Foam Squares White Small Size. There is nothing better than playing in the falling leaves, right?! 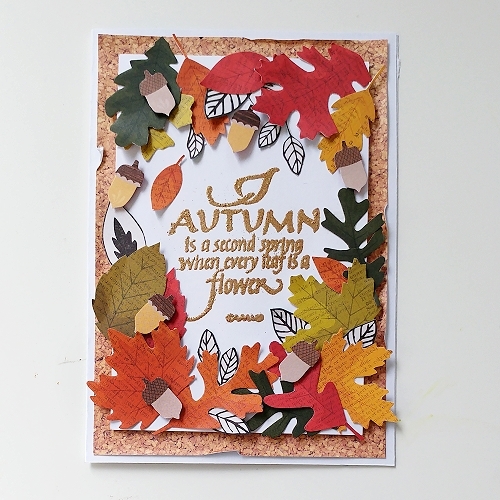 So, this card is exactly what I wanted to create – my love for fall/autumn and for playing in the leaves. This has been such a fun week hoping with Quietfire Design. Earlier this week I shared a very elegant card with the same stamp set that I used on the card today. On this card, I focused on the Script “Merry Christmas” sentiment and went for a totally different look. 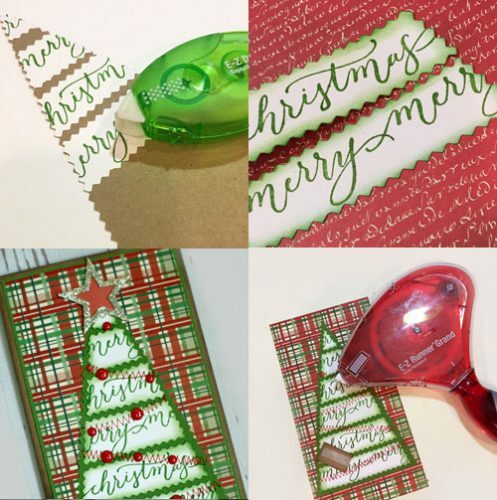 First I stamped the “Merry Christmas” script stamp randomly with green ink, all over white cardstock. Then, I cut it into strips for the body of the tree by creating the shape of the tree with a scrap paper and the E-Z Dots® Repositionable Refillable Dispenser . I used this adhesive so that the strips were easy to move and reposition – especially when I ink the edges. 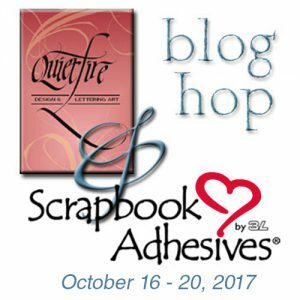 Quietfire Design Blog Hop and Giveaway – Day 5! If you cannot see the comment section (at the bottom of this post), please click: Quietfire Design Blog Hop and Giveaway – Day 5 and scroll down to the bottom of the post. This entry was posted in 3D Foam Shapes, 3D Foam Squares, Adhesives, Announcement, Cards, Crafts & Tutorials, Crafty Foam Tape, E-Z Runner® Dispensers, E-Z Runner® Grand, Fall, Permanent Adhesive, Repositionable Adhesive, Seasonal Craft Ideas, Wear your Adhesive on the Outside, Winter and tagged 3D Foam Holiday Embellishment Kit with Foil, 3D Foam Squares Mix White, 3D Foam Squares Small White, 3D Foam Stars, Autumn, Blog Hop, Christmas, Crafty Foam Tape White, E-Z Dots Mini Repositionable, E-Z Dots Repositionable, E-Z Dots Repositionable Refillable, E-Z Runner Grand Dispenser, E-Z Runner Grand Permanent Strips Refill, E-Z Runner Grand Repositionable Dots Refill, E-Z Runner Permanent Strips, E-Z Runner Permanent Strips Refill, E-Z Runner Permanent Strips Refillable, E-Z Runner Permanent Strips Refillable Value Pack, Fall, Holiday, Jana Maiwald-McCarthy, Quietfire Design, Vicki Chrisman. Bookmark the permalink. 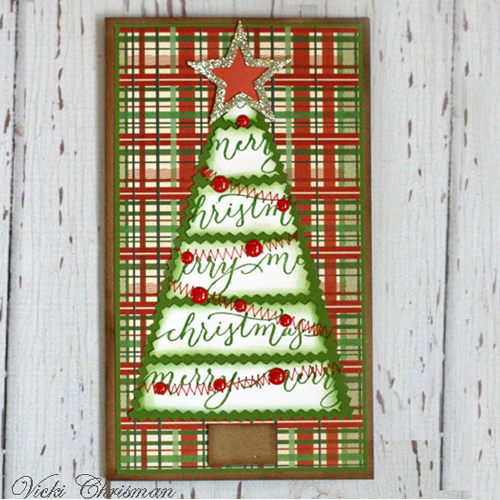 19 Responses to "Seasonal Cards on Quietfire Design Blog Hop and Giveaway – Day 5"
How pretty! I need to get in my craft room and make xmas cards….right now 🙂 You’ve really inspired me. Beautiful cards by both designers. Love the colors of Fall & the pretty leaves. Fantastic cards! I love that plaid background for the Christmas tree. I love the collection of leaves on the card. The gold embossing is wonderful. great card ideas–love this ornament card! Beautiful Autumn and Christmas cards. Such wonderful layers and dimension on the first card. Love the creativity on the second card. Thanks for sharing such great inspiration all week. Both cards are very eye-catching. I tend to favor layered cards and I tend to favor the fall colors. BEAUTIFUL WORK LADIES! 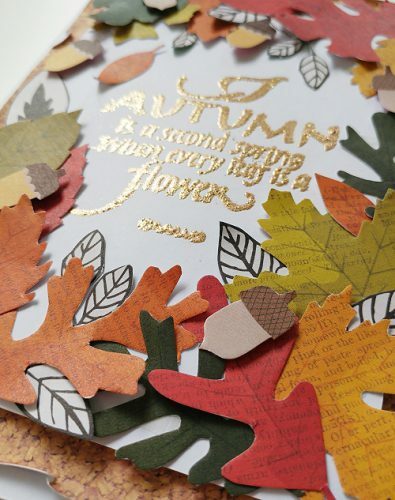 LOOOVE the gold embossing on the sentiment of the first card & the leaves! I LOOOVE FALL! AND the second card is SO CREATIVE! 😉 SUPER JOB!!! And again for this last day, the creations are amazing ! with all the fall colors. I love the designs of both of these cards. Beautiful! Gorgeous cards from Jana and Vicki! I love the autumn sentiment and the beautiful leaves in their autumn color! And I love the tree with the plaid background! Great wrap up to your blog hop week! Great cards. Vicki, love the tree! These are fabulous … thanks for awesome inspiration!